Margaret and I recently took a mini road trip up the Michigan Road. We made it as far as Logansport, where we had dinner and then headed back. 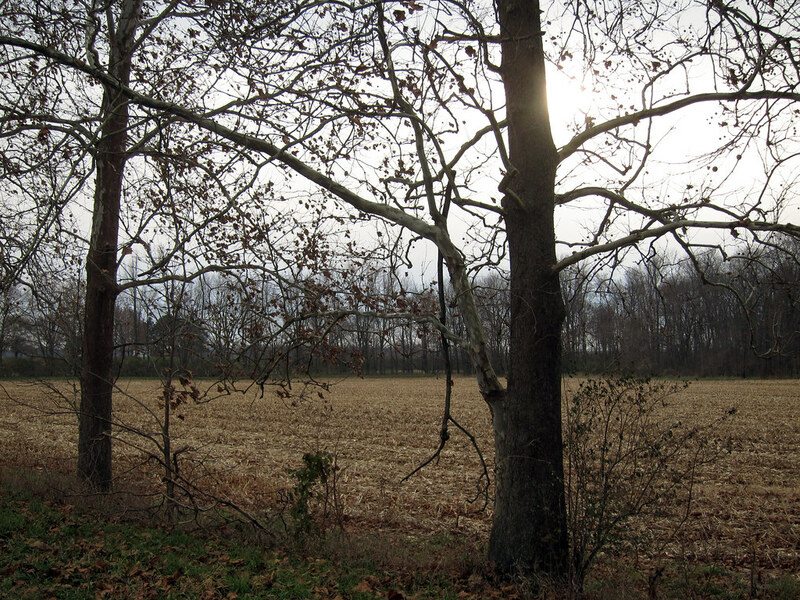 But on the way up we stopped to see Sycamore Row. It’s always grand to see these old trees, even if the story on the historic sign might be more legend than fact. Nobody knows for sure why these trees are here. But we’re glad they are. 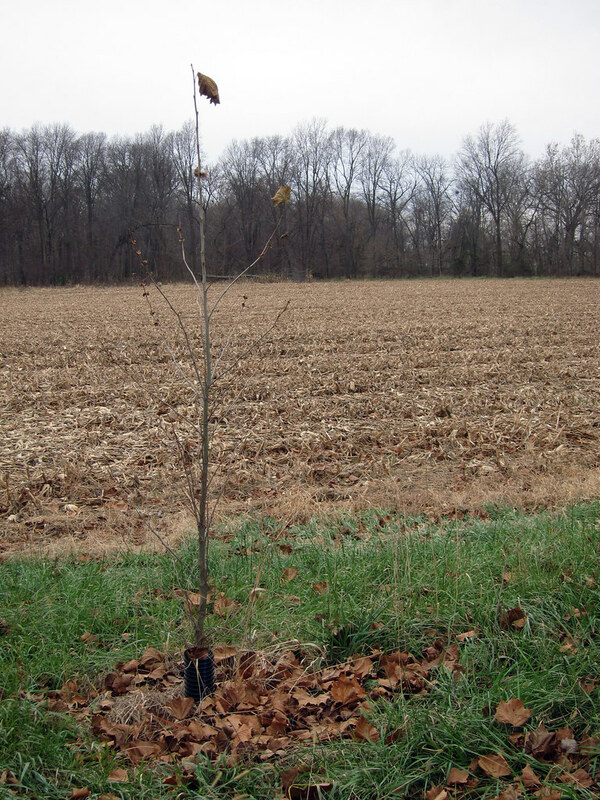 We’re also glad that new sycamores are occasionally planted. 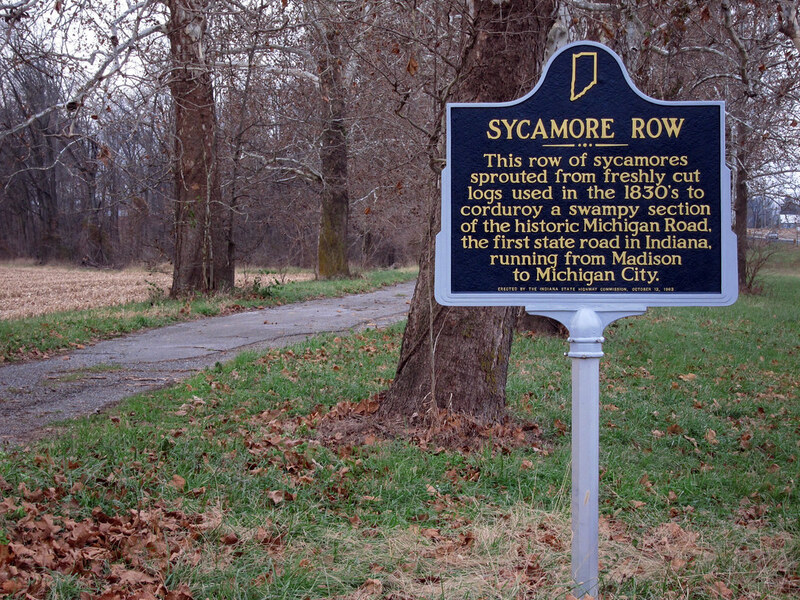 Historic photos of Sycamore Row show many, many more sycamores here than there are now. To me, late autumn is the best time to see these trees as it makes their jagged and knurled branches visible. 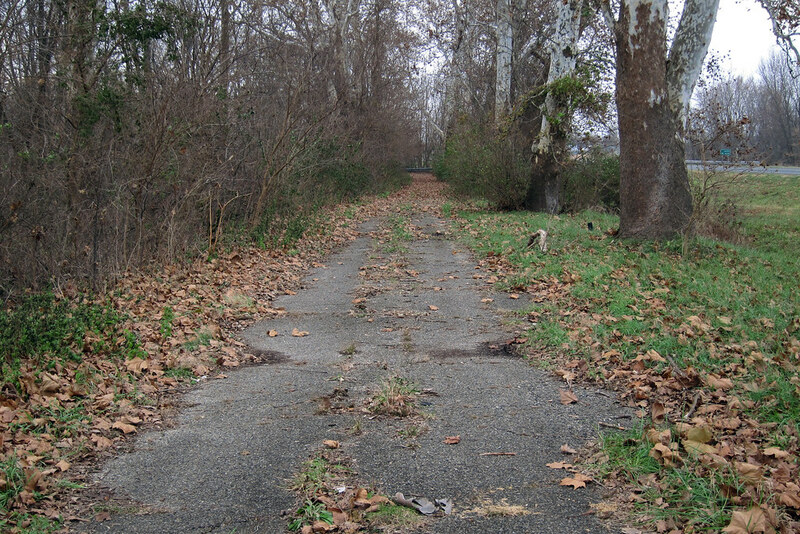 This old alignment ends at Deer Creek. 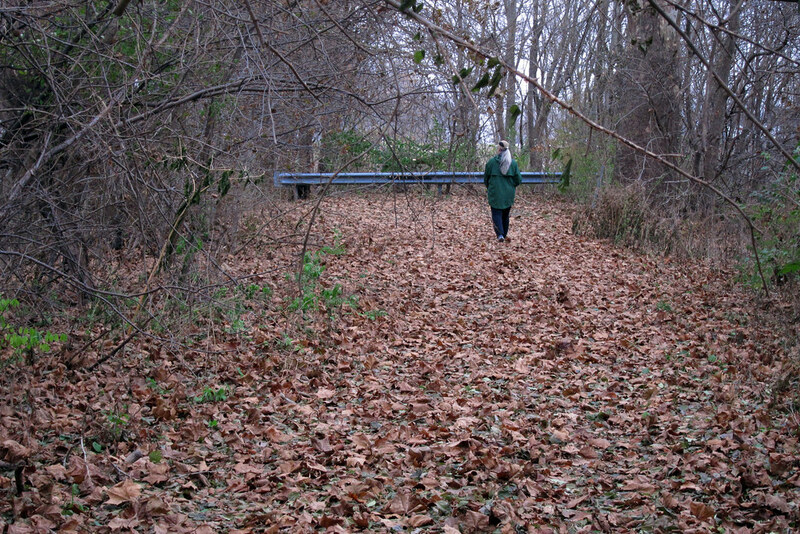 A steel truss bridge carried this alignment over the creek here until 1987, when a new alignment was built several feet to the east. Locals above a certain age remember how harrowing it was to encounter an oncoming semi in here. 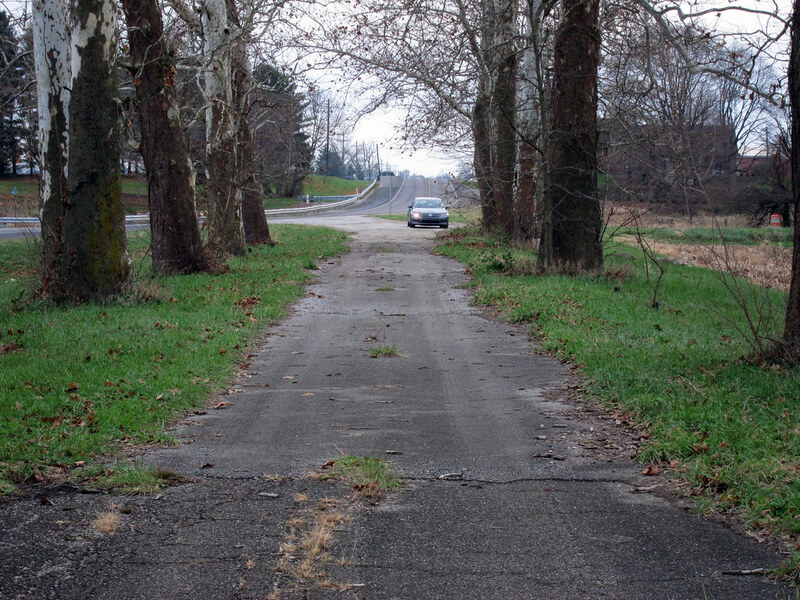 Turning around for a look back, you can see how the Michigan Road used to flow directly from this road segment. Love the old roads? Get more of them in your inbox or reader: click here.